A DONEGAL TD has revealed that almost 3,000 farmers who were approved for new modernisation grants are still waiting for the money to be paid. 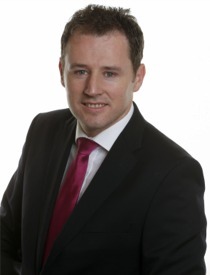 Fianna Fáil Agriculture Spokesperson Charlie McConalogue said a further 4,328 farmers have yet to see their applications processed. He said farmers are "enraged" at the severe delays in the administration of the Targeted Agricultural Modernisation Scheme II (TAMS II). “Many farmers had planned on starting on farm investment projects in May. However, the delay in processing their TAMS applications has put many of these projects on hold and is one of the biggest sources of frustration and anger among farmers across the country," said Deputy McConalogue. “According to the latest Parliamentary Question reply, 4,328 farmers or 60% of total applications for TAMS have yet to be processed. This is completely unacceptable considering the scheme has been open for more than a year. A further 2,829 farmers, who have had their applications approved, are still waiting on their payments." The Carndonagh-based deputy added: “Given the severe cash flow crisis, market volatility and low prices facing the primary producer, it is absolutely appalling that these payments are still pending. The Department claims that IT issues are to blame but this is a ridiculous situation, which is stalling critical funding which is fundamental to the social and economic wellbeing of rural Ireland. “Yet again, farmers will be disappointed to read the Minister’s reply that 'payment claims online will be available in the coming weeks'. This is simply not good enough. I’m calling on Minister Creed to expedite these payments and process all outstanding applications as an urgent priority."